NEWPORT BEACH – Although the annual Catalina Wild Side Art Show & Sale will not take place on Catalina Island, the allure of the island will be captured in paintings displayed at Newport Harbor Yacht Club, Oct. 26. Sponsored by the Catalina Island Conservancy, this is the first year Catalina: The Wild Side will be held on the mainland. Now, in its fourth year, Catalina: The Wild Side will highlight new island works by plein air artists Kenn Backhaus, Bye Bitney, John Budicin, John Cosby, Andy Evansen, Kim Lordier, Joe Paquet, Matt Smith, Kate Starling and Jesse Powell. 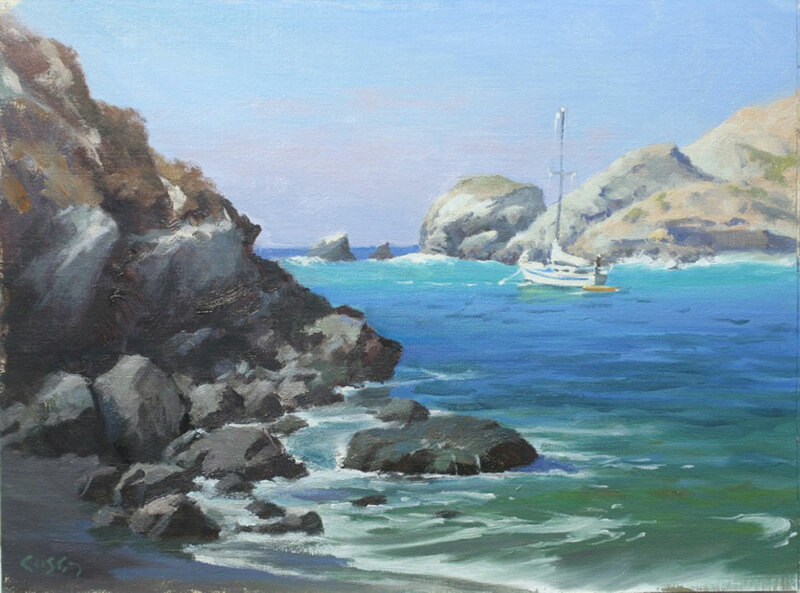 A passion for Catalina Island and plein air art will come together to create an extraordinary afternoon. The show features 10 nationally acclaimed plein air artists, who will display their interpretations of Catalina’s rugged wildlands and scenic beauty. Proceeds from the sale of these paintings support the growth of a permanent collection of plein air artwork that documents the Island’s wild side and the Catalina Island Conservancy’s restoration efforts. A VIP Preview reception will run from 1:30 p.m. to 3 p.m., followed by the show and sale from 3 p.m. to 5:30 p.m. at Newport Harbor YC, 720 West Bay Ave. in Balboa. Tickets for the VIP Reception and Show are $140 for Conservancy members and $150 for general admission. Art Show tickets are $40 for Conservancy members and $50 for general admission. Visit catalinaconservancy.org for more information.